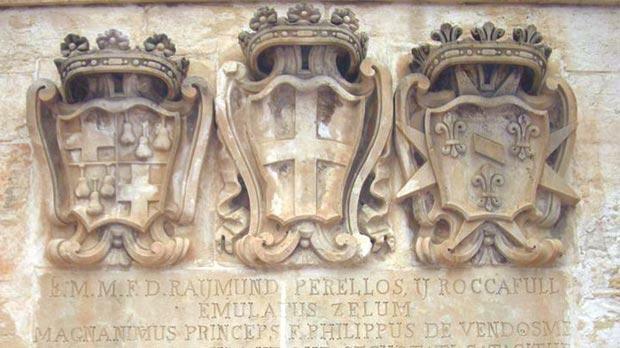 This coat of arms is situated on the pavement in the area of Delija (opposite Xemxija). Its history is unknown to most since it’s written in Latin. In 1715, two redoubts had been built as coastal defence, one in Xemxija and this one in Delija. In 1925 the Delija site was demolished to make way for a road! Can we have the inscription translated into English please?